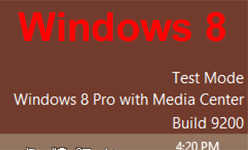 Windows 8 – “Test Mode Windows 8 build 9200” in the Bottom right hand corner of the screen. 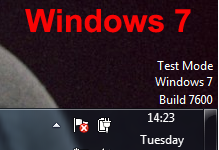 Home » Microsoft » Windows 8 – “Test Mode Windows 8 build 9200” in the Bottom right hand corner of the screen. 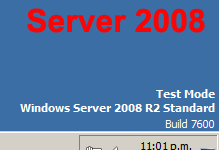 Also seen on Server 2008. 1. Click Start, in the search box type cmd > then right click the cmd icon and select “Run as administrator“. 3. Then Reboot the PC.